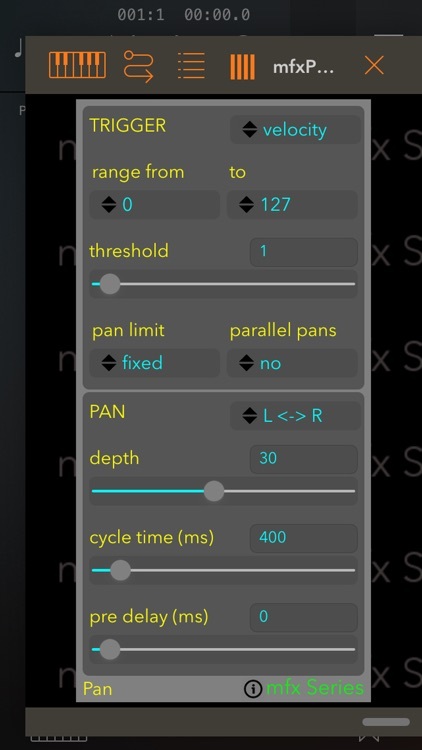 Creates automated pan sweeps based upon the incoming MIDI events (sends MIDI channel PAN controller messages). From basic L to R pings and pongs to very odd panning effects as parallel pan cycles fight against each other. 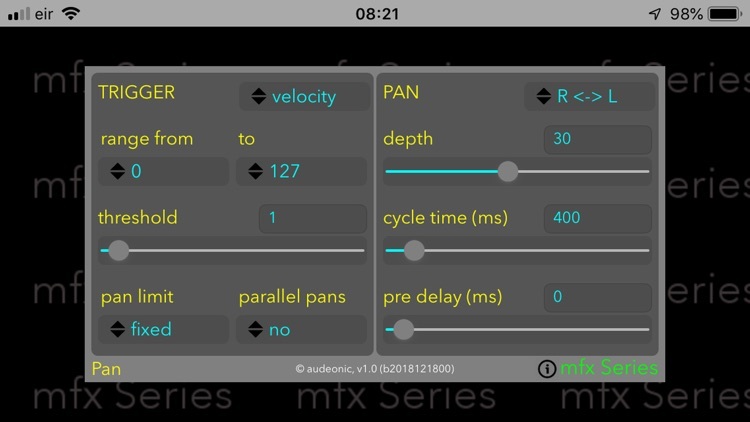 Panning is triggered by note velocity, aftertouch or controller events. You can set the style, length and depth of the pan as well as a pre-delay before it starts. The pan itself can be proportional to the trigger, so the harder you play a note the further it pans (and vice versa). 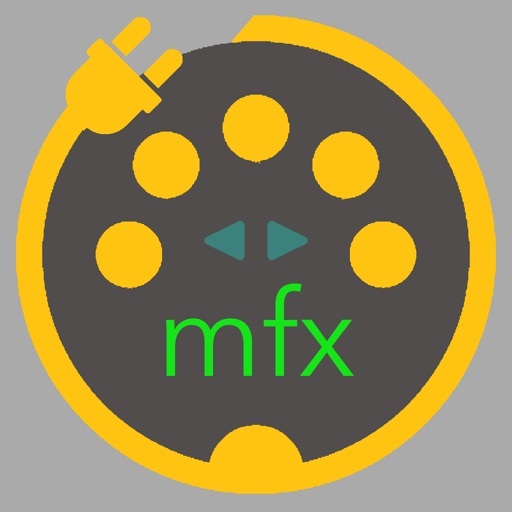 mfxSeries is a set of compact but powerful plugins for CoreMIDI or AUv3 hosts. Covering a range of use cases from common everyday MIDI manipulation tasks to creatively ambitious effects. Each plugin in the mfxSeries can be controlled and automated from the host as all controls are exposed as AUv3 parameters.